The BBC’s new mini-series “Overshadowed” casts a unique light on the issue of eating disorders, a topic that is usually kept hidden in darkness. Imogene, a young Irish vlogger living in England, decides to capture every aspect of her life, including her new interest in a healthy lifestyle and “best friend” Anna. The series shows not only what is happening around Imogene, who is known as “Imo” to her friends, but captures exactly what is going within her mind as well. “Think how good you’ll feel when you look in the mirror and like what you see,” Anna says to Imo in the very first episode. Anna may be Imo’s new best friend, and although she says otherwise, she is not there to make Imo happy. The malevolent force of anorexia appears as flashes in the beginning but Anna stays longer and longer as she takes over Imo’s life and begins to destroy it. “Are you actually going to ditch me for him?” Anna asks Imo when she wants to socialise. Eating disorders are known to cause isolation for the sufferer due to their interpersonal behaviours, and their fear of anything that relates to food. Anna starts to shadow Imo more and more, telling her to get rid of people any time her friends try to spend time with her, and bullying her when she decides to eat. At her sister’s birthday party when it’s time to cut the cake, Anna screams at Imo saying “one slice? You’ve come this far. Why not eat the whole f**king thing”. At one point in the series, Anna grabs Imo’s hand and they both literally run away from a situation involving food – a graphic reminder of how powerful an eating disorder can be. The use of Anna to represent anorexia is a unique take on the traditional depiction of eating disorders in the media. 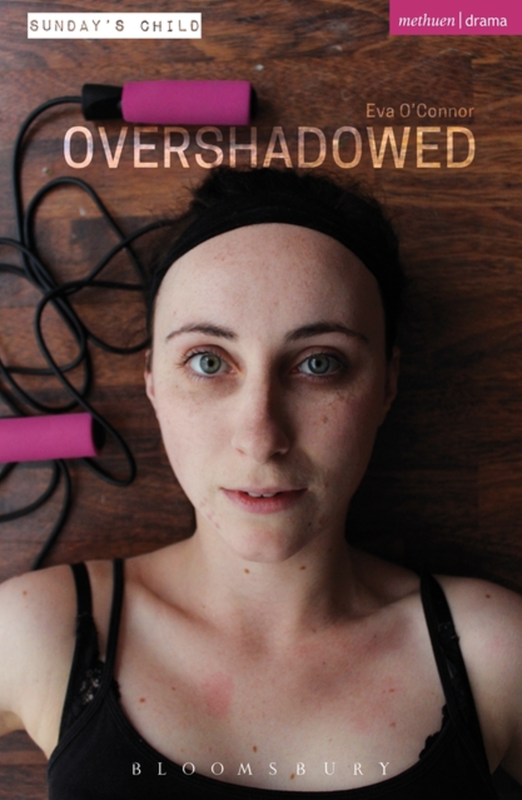 Overshadowed is one of the only – if not the only – television series or movie that explains anorexia from the perspective of the eating disorder sufferer themselves. Many patients with anorexia, bulimia, and other eating disorders, describe the disorder as a different entity to themselves, it is an outside power forcing them to behave like they do. These eight short episodes show the impact of an eating disorder on the person and on their family – the turmoil, the anguish, the anxiety and the worry. Eating disorders don not only effect the sufferer, but the outer family and friends. Eating disorders leave a shadow on everyone and everything near the sufferer. Overshadowed manages to capture the problems at home and with friends that happen as a result of the disorder. Imo’s behaviour seems rude and uncaring from the outside observer, but on the inside she is fighting a continuous battle with her anorexia. It is important to remember that having anorexia, or any other eating disorder, is not the fault of the person themselves. It is a mental disorder that creeps up and destroys everything in its path, and Overshadowed has managed to show this brilliantly. This series is so well put-together that it should be used as a teaching tool for family members and friends to explain what is going on with their loved one while they go through eating disorder treatment. It is common that family and friends of a person with an eating disorder simply do not understand what is going on within. The mantra of “just eat a burger and you’ll be fine” is unhelpful and demeaning to those suffering. Better education is needed about eating disorders, as they are the most deadly psychiatric illnesses; one in five patients with anorexia will die as a result of their disorder. Overshadowed provides details about eating disorders that the sufferers generally cannot vocalise until years after they recover from their illness, and this information is crucial to the understanding about what a person experiences. Awareness is out there about eating disorders, but understanding is still lagging far behind. This series has brought understanding on in leaps and bounds, and is helping to shine some light into those shadows made by the illness. The eight-part series is based on a play written by eating disorder survivor and Irish playwright, Eva O’Connor, who also plays the part of Anna in the series. You are never alone in your fight against an eating disorder. Recovery is possible; that shadow over your life won’t last forever.